Lisa: This looks like fun! Angie: This scares the crap out of me. Lisa: This scares the crap out of me. Angie: This looks like fun! Lisa: When Angie asked me to join her in writing The Risky Kids, I was excited. I thought it would give me a good excuse to pack up the kids and try new things. Lick a battery? Sure! Operate a computer? Not so much. Technology hates me. Computers freeze up and die when I walk in the room. Angie: This is absolutely true. I’d tell Lisa, “Oh, this is easy, let me show you.” And then her computer would proceed to do things no computer has ever done before. But let’s be honest, I really just wanted an excuse to try out MegaCaverns. Angie: I fell for it hook, line and sinker. 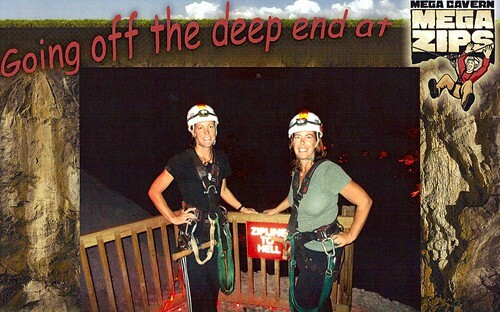 Thankfully I didn’t fall and die zip-lining 80 feet underground in the dark. Lisa: It also might have been an excuse to drink beer at Bluegrass Brewing Company. 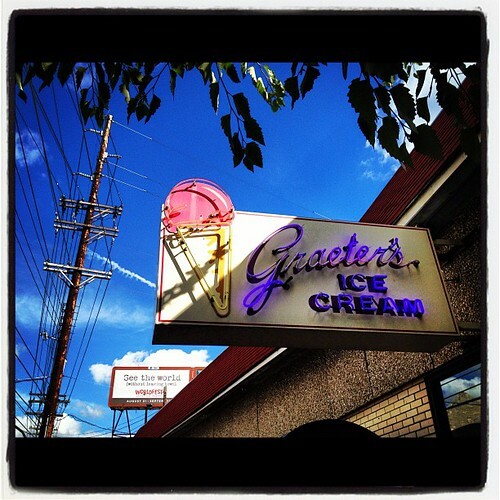 Lisa: And eat ice cream at Graeter’s. Angie: You are my soul mate. But I draw the line at sky diving. Lisa: Being Risky is also about being balanced. We did our work and played too. I learned a lot during the Risky Kids Summit. We want our blog to grow and encourage other families to get out there and try new things. 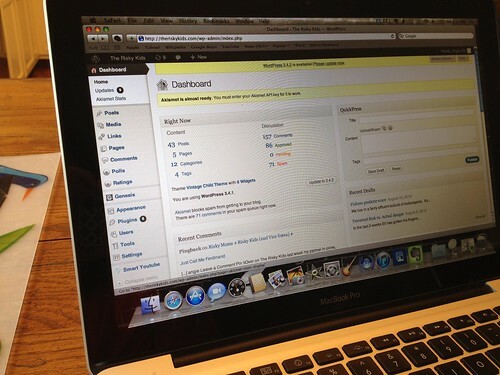 If there’s something that you would like to see on our blog, go ahead and give us a shout out. Angie: For once, I will let Lisa have the last word … oh, wait. Well, yeah. What she said. We want to make sure we’ve got you covered. If you have a question or a topic you’d like to see us write about let us know in the comments. And don’t forget, we’re available for public appearances. All we require is beer, ice cream and one activity suitable for an adrenaline junkie.